March 15, 2016, Taipei– Advantech, a global leader in the embedded system market, is glad to announce IoT Gateway Starter Kit. This kit will jumpstart your IoT innovation with a reliable platform and open gateway technologies. The whole package includes a ready-to-run system (Intel® Celeron® J1900 platform & Windows 7 Embedded), IoT software platform service (WISE-PaaS), software development kit and technical support service. 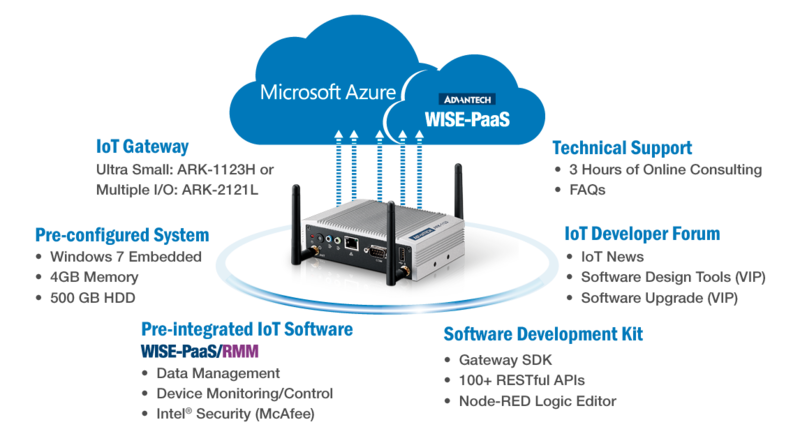 Additionally, Advantech’s hardware is verified to work with the Microsoft Azure cloud platform. With it, you can take your IoT innovation to market faster and create new business value. For IoT developers and system integrators, the Advantech IoT Gateway Starter Kit gives the flexibility to create and deploy innovative, cost-effective and secure IoT solutions for a wide array of industrial applications. ”IoT projects are complex and take a long time to implement. Customers are looking for a quick and efficient solution to jump start their IoT. 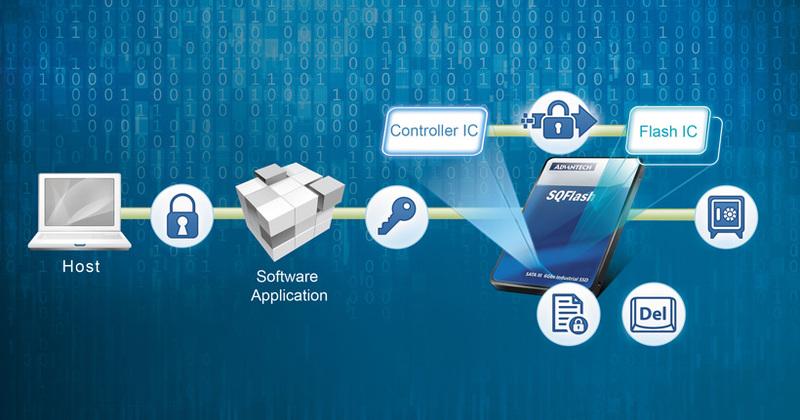 The Advantech IoT Gateway Starter Kit not only simplifies IoT deployment, but also creates mutually beneficial capabilities to enable application innovation,” said Advantech Embedded Computing Group Vice President Miller Chang. It provides powerful turnkey building blocks to connect various existing Things, including machines, devices and sensors, and unifies different protocols as IoT standard: MQTT, then empowers IoT application development for data streaming, analytics and prediction solutions. In environments like buildings, all targeted devices can be connected to the internet for data transmission and processing. Building administrators can then sit in the central control room, viewing a dashboard to manage the situation for maximum efficiency. An iFactory developer can bring all heterogeneous systems to an intelligent network, transform their data into a unified format standard for IoT communication and central management, and coordinate all systems so they work synergistically. For a retail system integrator, it provides a simple way to integrate multiple systems and provide a cloud platform for creating business intelligence, using IoT technology to collect and analyze data to improve business strategies and practices. The Advantech IoT Gateway Starter Kit provides a pre-configured system featuring an Intel® Celeron® J1900 SoC and WES7E with 4GB Memory and 500GB HDD. There are 2 gateways selected for the Starter Kit which have been verified through the Microsoft Azure Certified for IoT program; ultra-small: ARK-1123H or the multiple I/O: ARK-2121L. 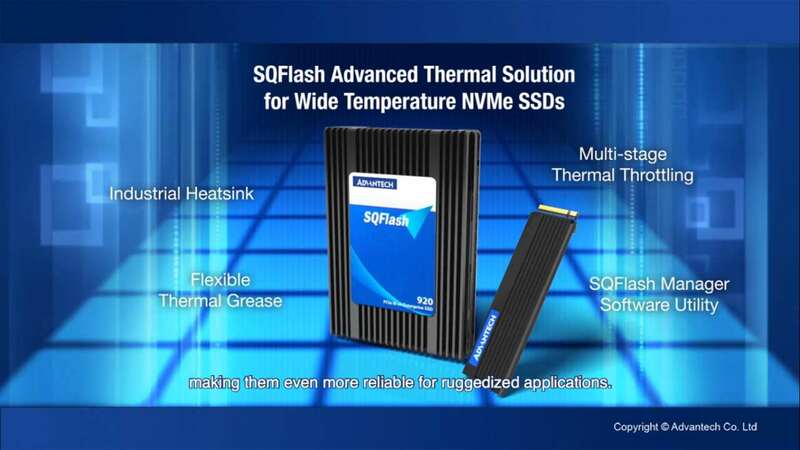 They are both designed to withstand harsh environments, with good scalability for networking and versatile I/O communication. Besides the ready-to-run gateway system, a software solution is also included in the package. This includes WISE-PaaS/RMM Pro version: IoT device remote monitoring and management software for data management, device monitoring/control and security (Intel® Security McAfee). And WISE-PaaS/RMM is ready on Microsoft Azure Marketplace to enable big data analytic services. As for IoT design-in services, we provides gateway and security SDK, 100+ RESTful APIs, Node-RED logic editor design tools and documents. With 3 hours of online consulting services, customers will have their exclusive account to submit, manage, and track service status. For a quick jump into the core discussion with professional consultants, Advantech built an IoT Developer Forum. The IoT Developer Forum is a real-time, online platform for sharing the IoT technologies news and posting questions. Discuss a variety of development topics, from getting started to working with the latest software and IoT technologies. Any customers who purchase the Starter Kit are eligible to become VIP members in our IoTDeveloper Forum community. On the Forum there are dedicated Advantech technical experts for technical Q&A, and for download, the latest technical tools and documents that help customers shorten their design phases and speed their launches.